On late afternoon of Sept. 2, 1986, a Grumman F-14A Tomcat operated by the Islamic Republic of Iran Air Force was reportedly shot down deep over Iraq — in an area and at the time that seemed unlikely. The same evening as the shoot-down, the F-14’s two crew members appeared on Iraqi T.V. The IRIAF immediately launched a major investigation. Cross-examining information from all available sources, the Iranians quickly concluded the Tomcat in question was intercepted by a pair of Iraqi fighters near the town of Numanya. But why did the pilot fly his aircraft into Iraqi air space, despite a standing order not to do so? The answer is one of the most fascinating, and misunderstood, tales in the long shared history of Iran and the F-14. On Sept. 22, 1980, Iraq invaded Iran. But Iranian resistance far fiercer than the Iraqis expected, and by 1982 the Iranians had liberated most of the occupied soil and launched a counterinvasion of Iraq. In 1986 the war of attrition dragged into its sixth year, with neither side achieving a clear advantage. In the air, Iran’s powerful F-14s reigned, scoring dozens of kills with their long-range AIM-54A Phoenix missiles. In most of cases, their Iraqi opponents never knew what hit them. Before soon, Iraqi military intelligence concluded that reports about Iranian Tomcats being mostly grounded were wrong, and something should be undertaken to lessen their effectiveness. Correspondingly, Iraq launched an operation with the aim of establishing contact with IRIAF pilots — and convincing them to defect to Iraq. The idea was not entirely new. Israel had made a similar attempt in Iraq in 1966. And in July 1980 a group of Iranian F-4 pilots defected to Iraq. One of them, Maj. Hamid Nematee, brought with him a host of secret documents that provided a true treasure trove. It was that intelligence that encouraged the Iraqis to invade Iran two months later. The Iraqis achieved their first success on Aug. 27, 1984, when Maj. Rahman Ghanat Pishnee defected with his F-4E from Bushehr air base to Ali Ibn Abu Talil air base — known to the West as Tallil — in southern Iraq. The Iraqis carefully inspected the aircraft and AIM-9 Sidewinder and AIM-7 Sparrow missiles it carried, but never test-flew it. The Phantom remained parked inside a hangar, where it was destroyed by U.S. bombardment in January 1991. The Iraqis kept trying, and eventually proved successful in contacting Capt. 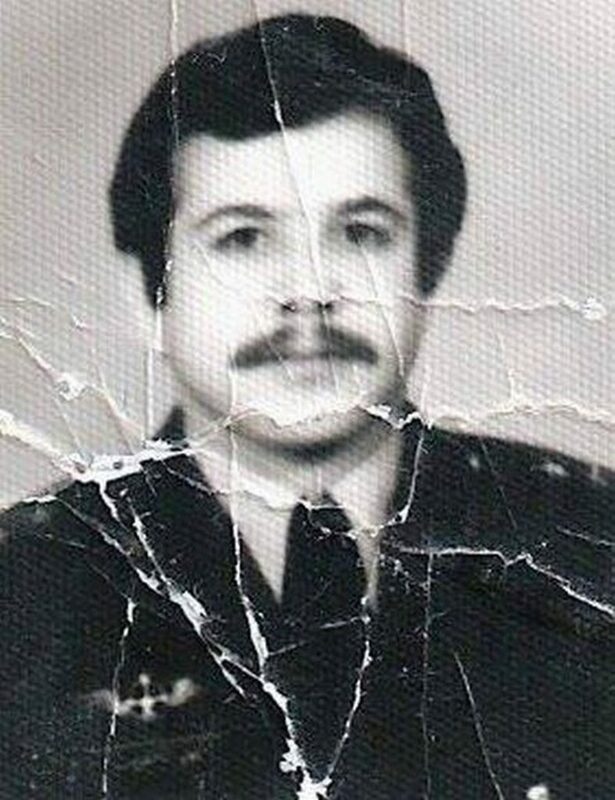 Ahmed Moradi Talebi, an F-14 pilot based at Esfahan air base. Very little is known about Moradi except that his wife used to work as a non-commissioned officer with the air force. In spring 1986, the Moradi family requested permission for a vacation outside Iran. This was granted, and in August of the same year Ahmad and his wife traveled to Germany. Moradi returned without his wife, late the same month, but – surprisingly enough – was granted permission to continue service. What the Iranian counterintelligence did not know at that point in time was that Moradi had long been in contact with Iraqi military intelligence. The Iran-Iraq War was fought under some of harshest weather conditions ever. Simmering heat often resulted in temperatures exceeding 120 degrees Fahrenheit during the summer. Correspondingly, both sides limited their activity from late morning until late afternoon. Next to nobody flew between 11:00 in the morning and 4:00 in the afternoon. In the evenings, the Iraqis tended to launch air raids targeting tankers hauling Iranian crude from Khark Island. Thus around 3:30 in the afternoon every day, a pair of F-14s launched from Esfahan and flew a combat air patrol near Bushehr. One of pilots selected to fly the afternoon patrol on Sept. 2, 1986 was Ahmad Moradi Talebi. ‘The two crews completed their briefing and pre-flight checks, and everything appeared okay,” one Iranian F-14 pilot recalled on condition of anonymity. “However, during the last-chance check, both F-14s suffered a technical malfunction and had to abort the mission. Moradi called on the radio if any other Tomcat was ready, and received a positive reply. Once airborne, Moradi topped his fuel tanks from a tanker aircraft, before turning west in the direction of Iraq and climbing. Underway in a westerly direction, Moradi broadcast several radio messages to the radar station Mohammed 1. There was no reply. Not recalling any such codenames, Najafi examined his check list. There was no radar station with that callsign. As minutes passed by, Moradi approached the border with Iraq. Instead of turning north, as advised by ground control, he steered the Tomcat in a southwesterly direction. At this moment in time, Iraqi air force headquarters in Baghdad scrambled two MiG-23ML interceptors from No. 62 Squadron at Bakr air base — better known in the West as Balad. Sadik was the intelligence officer on duty at Iran’s Air Defense Operations Center that day. “I was having a lunch-break outside the ADOC when a colleague called me to report something unusual, and to join him immediately. As the two MiG-23ML approached within 30 kilometers from Tomcat, the IRIAF ground controllers made repeated calls to warn Moradi, while scrambling a pair of F-5E Tiger IIs from Dezful and a pair of F-4Es from Hamadan. It was too late. In full view of radar operators and thousands of troops on both sides of the front line, the F-14 continued directly into Iraqi air space. This story will be continued in part two.